A 20-year-old Hailey man was sentenced Monday to four and a half years in prison for selling almost an ounce of cocaine in November 2010 to a confidential informant for the Blaine County Narcotics Enforcement Team. Although it was the first felony conviction for Jessy T. Tellez, Blaine County Deputy Prosecuting Attorney Matt Fredback said at Monday's hearing that Tellez was heavily involved in the illegal drug trade and "admitted to being a runner from California." "This is the first time he's been caught," Fredback said. Fredback reminded the court that Tellez is the younger brother of Freddy Tellez, now 22 and serving a 24-years-to-life prison sentence for murdering 16-year-old Margarita Guardado in Hailey in 2007. "The reason I say that's important is that Mr. [Jessy] Tellez knows the consequences of committing crimes," Fredback said. Jessy Tellez will be required to serve 18 months of his prison sentence before being eligible for parole. He had remained free on $100,000 bond since his arrest in June 2011 but was taken into custody at the conclusion of Monday's sentencing hearing in Blaine County 5th District Court. Tellez was one of nine defendants indicted by a Blaine County grand jury on various felony drug charges in June of 2011. He was originally charged with trafficking in cocaine but the charge was reduced to delivery of cocaine in a plea agreement with the Blaine County Prosecuting Attorney's Office. 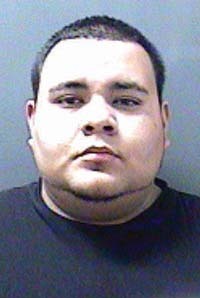 Tellez pleaded guilty to that charge in February. Delivery of cocaine is a lesser charge in Idaho than trafficking in cocaine because trafficking generally involves larger quantities of a drug and carries a mandatory prison sentence upon conviction. Hailey attorney Cheri Hicks, appointed public defender, reminded the court that Tellez only pleaded guilty to one crime. "We are here for one charge of delivery of cocaine," Hicks said. She argued for leniency for her client, citing his young age when the crime was committed and saying that "he's still a very young man with a long productive life ahead of him." Hicks said Tellez has a 2-year-old daughter that he would be unable to care for if given a lengthy prison sentence. "He's looking forward to getting it behind him and living a better life," Hicks said. Judge Robert J. Elgee noted that evidence from the investigation showed that Tellez was involved in the drug trade, bringing illegal drugs to Idaho from the Los Angeles area. "It wasn't an isolated incident," the judge said. Elgee told the defendant that by law he could have issued a much more severe penalty. "It's not that long for what you did," Elgee said. "It could be a lot longer given the circumstances. How long you're in there is up to you." Delivery of cocaine is punishable in Idaho by up to life in prison.